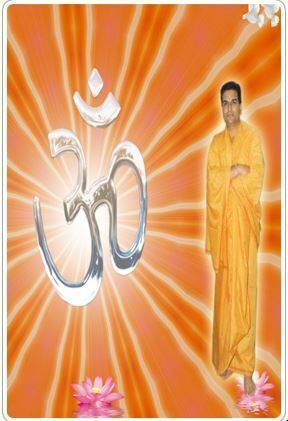 Astrologer Arun Sharma was born in an old Brahman family in Kashi where the studying and teaching of Vedic Astrology and Yoga has its tradition over the last thirty generations. So, from the very beginning he had keen interest in Astrology and Vedic sciences. In spite of this, he devoted a great deal of time to Astrology to bring some new pattern of serving and to delight people with their desired expectations with any Astrologer. The events which led to him exploring the varied dimensions of astrology make up a long journey. He spent in detailed research and study of astrology, palmistry, numerology, gemology, and Tantras, Vastu. The Lal Kitab and various other ancient Indian treatises served as a fascinating cornucopia, which he explored along with an increasing clientele whom he value as friends and followers today. He has been practicing Astrology & Numerology for the past so many years and is a deeply religious & spiritual man. His discourses combine authenticity with simplicity of contemporary idiom suited to the modern mind. He is well known all around the globe for his accurate predictions and to the point analysis of various facets of life viz. Education, Litigation, Property, Travel, Career & Financial prospects, Marriage/Romance/Divorce, Children, and Longevity, Abilities, missions, diseases and how you can cure them, work and changes, good times for investment, general financial situation, living situation, spiritual life, how you can help your family and others in difficult times and many more. Acharya Arun Sharma excels in diverse disciplines through dedicated horoscope readings by a distinguished panel of astrologers. Horoscope matching is also one of the services offered by him. Horoscopes of two individuals (male and a female) are matched for mutual compatibility. It provides information on how the two will relate in the future. It includes authentic analysis of various factors such as Ashtakoot and Manglik Dosh and tells what kind of partnership is suitable. It also suggests the remedial measures in case of strong Manglik defects. Acharya Arun Sharma is also specializes in empowering and strengthening the “NAME” whether it is the name of an individual, Company corporate, Business etc. We all know that date of birth cannot be altered. So the only alternative available is to alter the name to overcome the obstacles and hurdles prevalent in your life by taking help of Powerful science of Numerology. In fact, getting the birth chart reading done and performing appropriate remedies is a rich and rewarding experience for their clients. For your complete life solutions he only requires your Full Name (which you are using presently), Date, Month, Year and Place of Birth along with your Time of Birth. In case you are married then date of Marriage is also required.